Elevators. We use them all the time. But have you ever given them much thought? Next time you’re in an elevator cab, look around. It’s easy to see them as a way to get from one place to another. What may be less apparent, though, are some of the unique challenges they face — from uniting design themes across multiple floors to withstanding the impact of crowds and equipment to enduring the captive attention of riders. For designers charged with meeting these challenges, smart design and material choices can help. 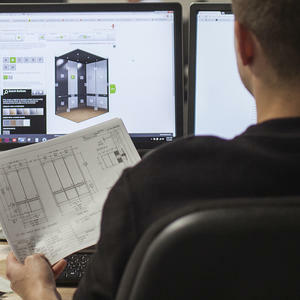 While many options exist, our cohesive approach to a solution gives you exceptional creative control. 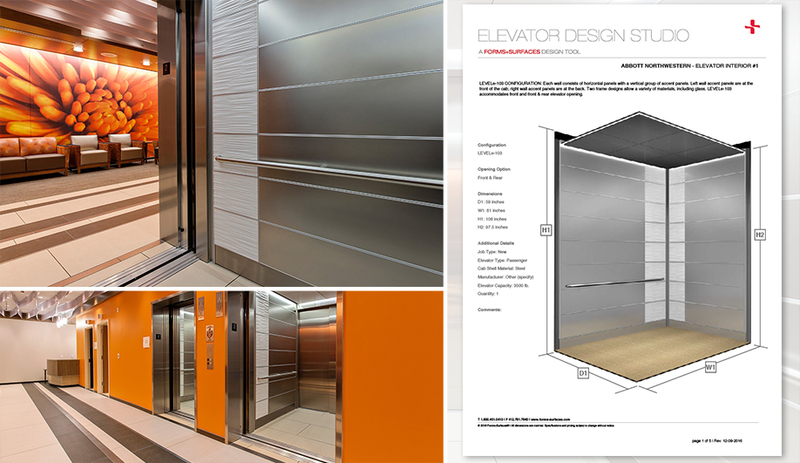 It all begins with our Elevator Interiors Program. 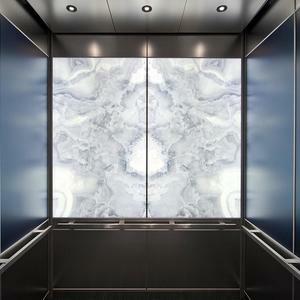 Developed to address a wide range of aesthetic, performance and budgetary requirements, the program consists of 12 highly configurable elevator interior designs, each with a unique wall panel shape and layout that serves as the framework for the materials used within. As smartly engineered systems, each elevator interior is easy to specify, install, and maintain. Complete packages for typical sizes of passenger and service cabs include everything you need: wall panels; trim pieces; and optional handrails and/or ceilings with or without lighting. 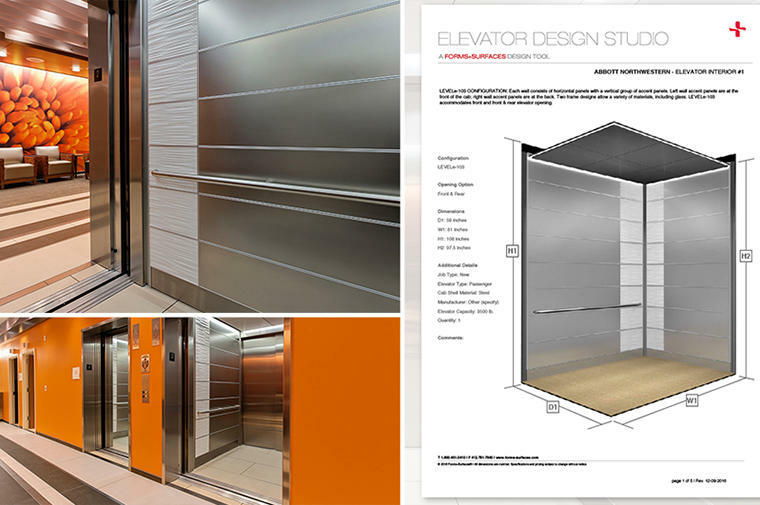 As highly configurable systems, our elevator interiors give you versatile wall panel layouts and numerous ways to combine materials, patterns, and finishes to create unique end results. 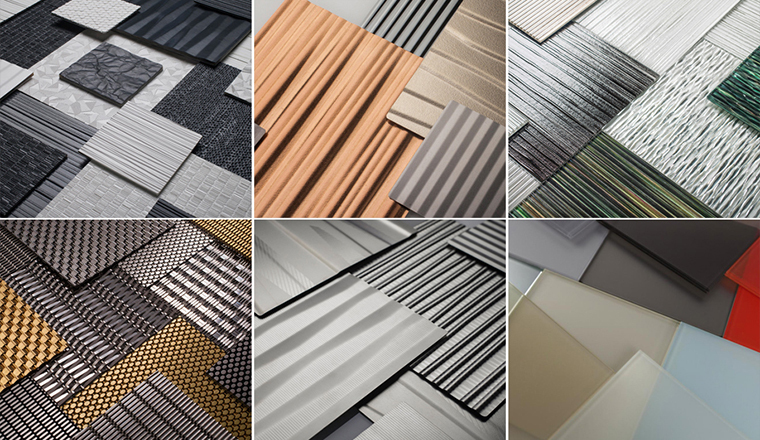 Next, our Surfaces palette offers no shortage of options for tailoring the 12 elevator interior configurations. More than 1,000 material, finish and pattern combinations give you the freedom to create the look you want. Need inspiration? Cast and laminated glass are ideal for making a dynamic design statement in retail and hospitality settings. 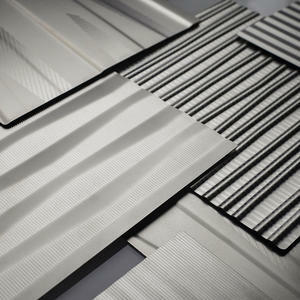 The rich colors of Fused Metal can bring a prestigious feel to corporate interiors. Stainless steel lends a refined look to elevator interiors of all kinds, yet stands up beautifully in parking garages, airports, universities, and other high-traffic public spaces where durability and potential abuse are concerns. The upside of so many choices is incredible design flexibility. The challenge, however, is in bringing them together in a format that lets you quickly see and assess your options, get creative, and share your work with colleagues and clients. 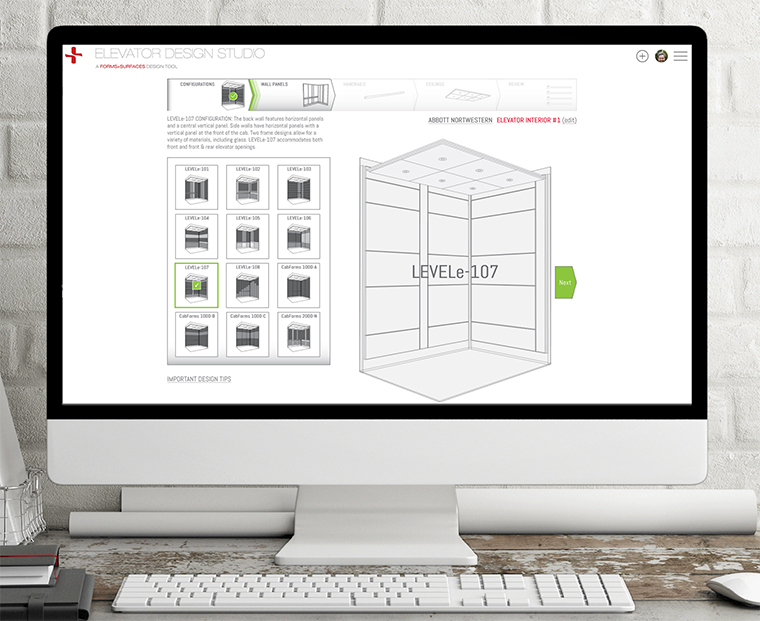 For that, we've developed the Elevator Design Studio (EDS)—an easy way to bring your ideas to life. The EDS is a visually oriented interactive design tool that allows users to see and work with all of the options Forms+Surfaces offers in a single, comprehensive location. 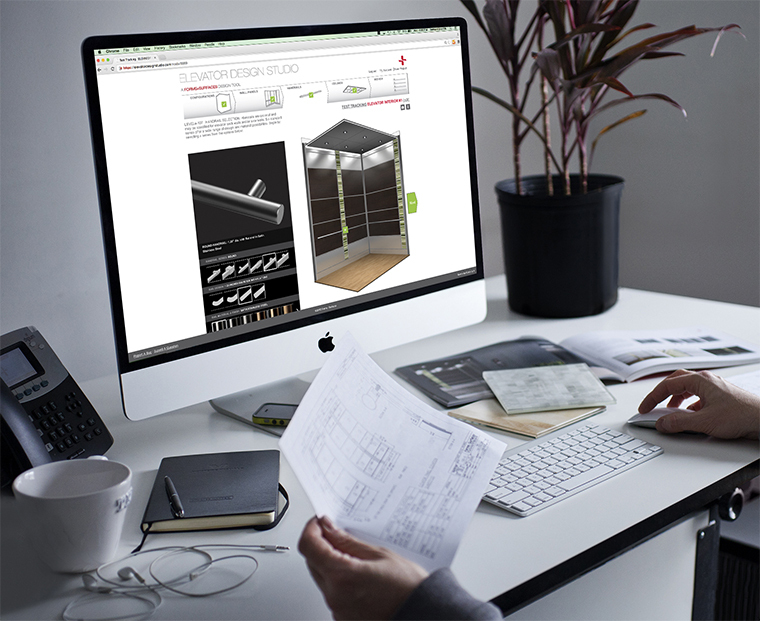 The studio’s intuitive, step-by-step format lets you choose an F+S elevator interior configuration, apply materials and finishes from our extensive Surfaces library, view your progress in realistic renderings, request budget pricing, and literally design an elevator interior in a matter of minutes — all with a few simple clicks. Once you set up an account – a quick and secure process – you can start exploring ideas, building designs and managing your projects. 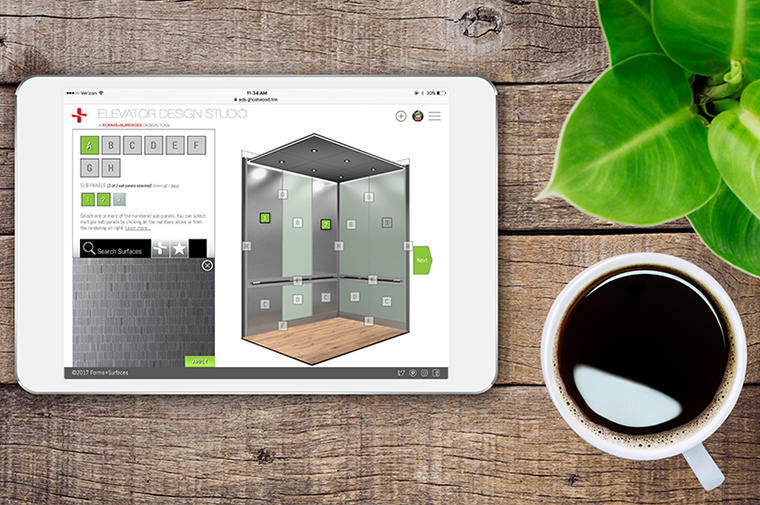 Within a project, you can create multiple elevator interiors, note job-related details, add Surfaces to your ‘Favorites’ portfolio, and save and share your work. 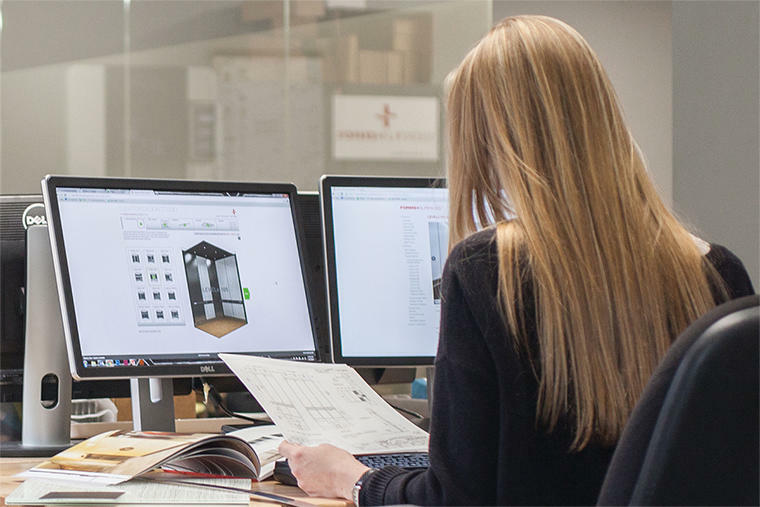 Because elevator interiors are complex, three-dimensional spaces, the finished design is harder to picture than, for example, a flat feature wall. With the EDS, you can quickly work through ideas, visualize what a finished cab will look like, make decisions, and move on to specification. 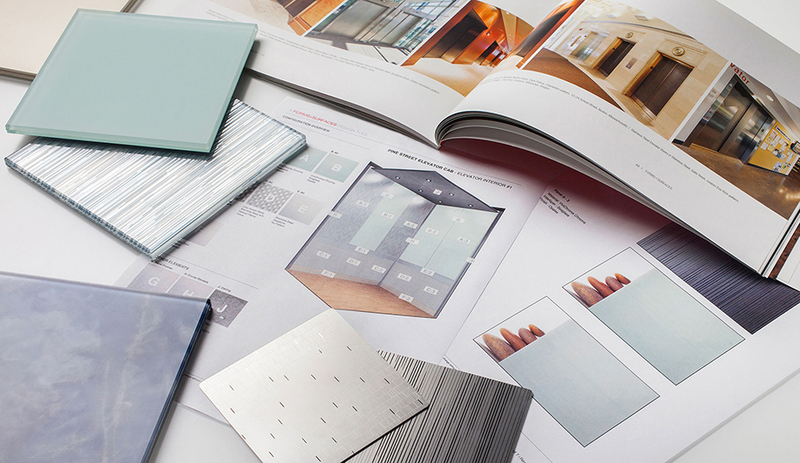 Because the entire process is completed without leaving the EDS, there’s no need for separate programs like Photoshop, no need to spend time preparing budget pricing requests, and no need to wonder how the materials you’ve chosen might look in your finished design. Forms+Surfaces respects your privacy and is committed to ensuring a secured experience while using our web applications. Your personal profile is held securely in our database. Your information will never be sold, shared with third parties, or misused. You can unsubscribe from this mailing list at any time.